LG has officially updated all LG v30 devices to Android 8.1 Oreo firmware, but LG V30 users still have to wait a few months before the official Android Pie update is available. 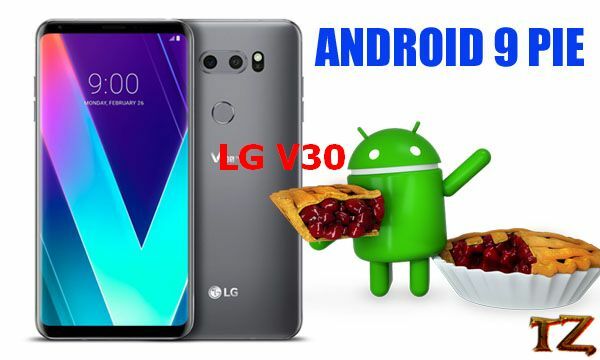 If you are using an LG V30 phone, and are eager to test Android Pie version right now, the temporary solution is flash a custom ROM on your device. In this post, we’d like to introduce to you a completely new ROM, called LiquidRemix 10.0 based on Android 9.0 version for LG V30. If you feel this new custom ROM, follow this post to download and flash on your phone. Before getting started, you should make sure some things first so that the process can be successful. Install a TWRP recovery to flash the ROM. You’d better install the latest TWRP 3-2-3 version on your LG V30 if possible. Keep your device battery at least 50% for the process. This custom ROM currently works with LG V30 H930 model, so you must not flash it on other variants as it might end up bricking. It’s your own responsibility to flash the ROM, so we’ll not be blamed if there is any bug created after the update. Once you are all set, let’s start flash the LiquidRemix 10.0 ROM on your LG V30. First, download the ROM file as well as Open Gapps file and copy both of them into the internal storage of your LG V30. Once done, DO NOT reboot your LG V30 yet. Continue to flash the Open Gapps to install Google services. Wait for the process to complete. Once done, simply tap on Reboot to reboot your phone.